This is my second Kickstarter campaign. I was so excited to get my first project of the Liverpool liver bird scarf funded I thought I would try again. 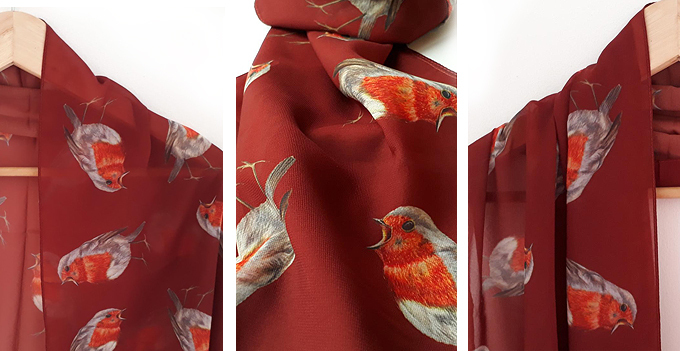 I’d love to get this robin art scarf manufactured in time for Christmas! This is a sample I’ve had made. 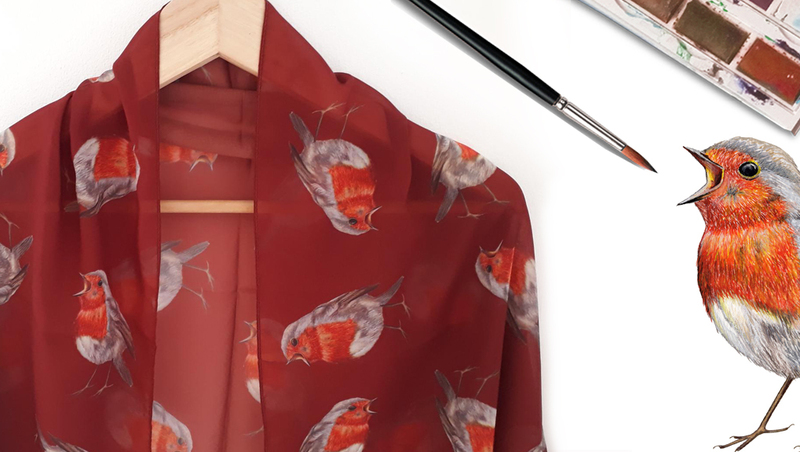 Every nature or bird lover should own one to look stunning this autumn. Would also make a beautiful and unique Christmas gift. ♥ Super soft chiffon polyester – lightweight suitable for wearing all year round. ♥ Machine washable – 30° or below inside a wash bag or pillow case. ♥ This unique wearable piece of art has been made from original art using watercolour. The scarf on this campaign will eventually be available on my Etsy store (at £39.95) RebeccaChristianShop. 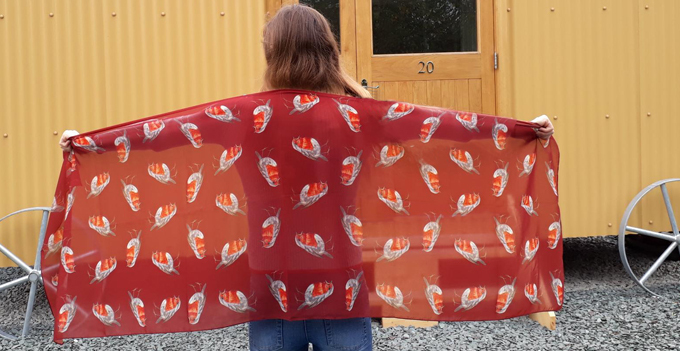 By supporting this campaign you will not only be getting this scarf earlier than anywhere else, but also at a lower price of £30, saving you £9.95!